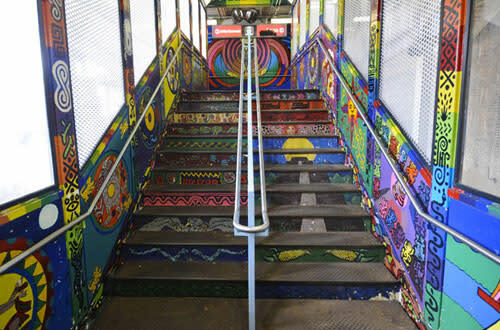 Art in Public Spaces is a curatorial collaboration between the Chicago Urban Art Society, National Museum of Mexican Art, and Pawn Works to create jaw-dropping murals in the Pilsen neighborhood. The project is in part funded by a $10K donation from Alderman Danny Solis, with paint donations from Montana and Sherman-Williams. The most talked about work is Gaia&apos;s Quetzalcoatl and the Stork, a piece that&apos;s inspired by the Pilsen neighborhood. The work illustrates the shared Catholic faith between the neighborhood&apos;s Polish and Mexican residents with a mythical creature that, in Mexican culture, tells the story of immigration and Catholic evangelism. Visitors interested in exploring the Pilsen Murals should walk the area bounded by 16th street to the north, the Chicago River to the east and Western Avenue to the west.